Alchemy is the art of liberating parts of the Cosmos from temporal existence and achieving perfection which, for metals is gold, and for man, longevity, then immortality and, finally, redemption. For centuries alchemists were obsessed with the idea of changing base metals into gold. The idea had a certain logic based on widely held beliefs. It was commonly thought that minerals, including gemstones, matured in the ground, gradually becoming ever more precious. Over time, soil was thought to change into lead, lead into silver, and silver into gold. Metals transmuted into gemstones as they approached the perfection of the stars. Alchemists believed it was possible to reproduce this natural process in the laboratory. Not all alchemists were created equal. At one end of the spectrum were the posers and swindlers interested in money and fame. At the other extreme were the followers of spiritual or metaphysical alchemy. And in the middle were the nascent scientists, who were genuinely interested in exploring the nature of matter. We know that alchemical “gold” successfully found its way into the marketplace because both Diocletian (AD 3rd century) and Pope John XXII (AD 14th century) explicitly outlawed the practice. Although separated by centuries, both knew that the artificial manufacture of gold could undermine official currency. 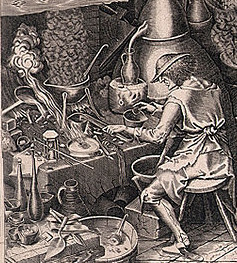 Many alchemical recipes focused on the “doubling” of gold. In other words, a pinch of gold would be added to other materials in order to create more gold. In this kind of recipe, gold might be mixed with copper and silver or other metallic ingredients. The result, to the early alchemist, who was not capable of precise chemical analysis, was the creation of more gold. What was “gold” anyway? To scientists of old, gold was something shiny, heavy, yellow, and resistant to fire and tarnish. If the metal they created had these characteristics, who was to say it wasn’t gold? Recipes for the “doubling” of gold have become standard procedure in the jewelry industry today. The ancient process has evolved into a closely regulated system for creating gold alloys. Or perhaps it was because the field drew charlatans and tricksters like a magnet. Most alchemical texts were dubiously attributed to a few well-known, often long-deceased or mythical authors who frequently wrote in code. This made attribution of ideas and duplication of recipes and experiments impossible—key flaws from a scientific perspective. 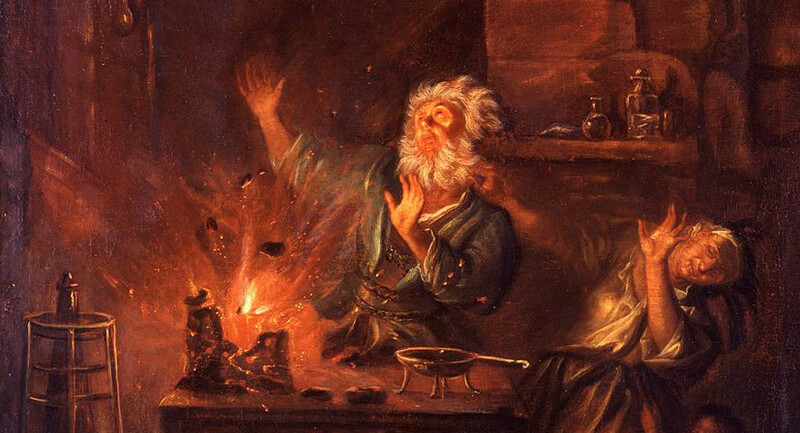 It is doubtful if many of the purported authors practiced alchemy at all, and among those who did, new works mysteriously popped up long after their death. 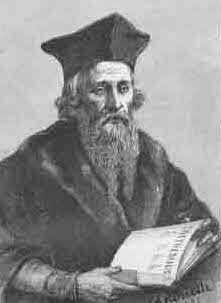 Examples include alchemical works attributed to Raymond Llull, George Ripley, Nicholas Flamel, and Bernard Trevesan among others. Alchemical texts are frequently unintelligible, seemingly written in code. According to Morienas the Greek: “The ancients, did not refer to the matters pertaining to this science by their proper names, speaking instead as we truly know, in circumlocutions, in order to confute fools.” Nevertheless the obfuscation, whether intentional or not, makes it impossible to test the ideas and recipes included in ancient texts. Due to the intellectual fog surrounding alchemy, it was easy for swindlers to get the upper hand. One example of this kind of deception took place in the 1670s, when the Dutch government employed Johann Joachim Becher to change sand into gold. Becher was allotted just enough money to construct a waterwheel and furnace for a small-scale trial run—which was apparently conducted with some success in front of a single witness. After the Dutch government awarded Becher a substantial sum to develop the process on a grand scale, he apparently vanished. Edward Kelley is famous for being John Dee’s skryer—due to his ability to summon spirits in a “shew stone”—but many are unaware that he also had alchemical talents. 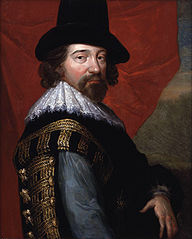 As a result of his claims, he was employed by Emperor Rudolf II to transmute base metals into gold. When his experiments were not successful, Kelley was thrown in prison, where he subsequently died. There is also the cautionary tale of Denis Zachaire, a 16th century noble who was impoverished by his obsession with alchemy. 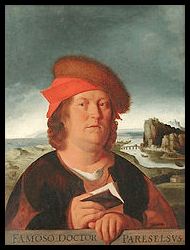 Introduced to the art by his tutor, Zachaire squandered his inheritance in his futile quest for the Philosopher’s stone. But alchemists may have the last laugh after all. Physicists can now make gold from lead and mercury in giant electrical devices called particle accelerators, although it is a very expensive and inefficient process.